Eliza De La Cruz prior to her kidnapping. Photo: Long Beach Police Department. 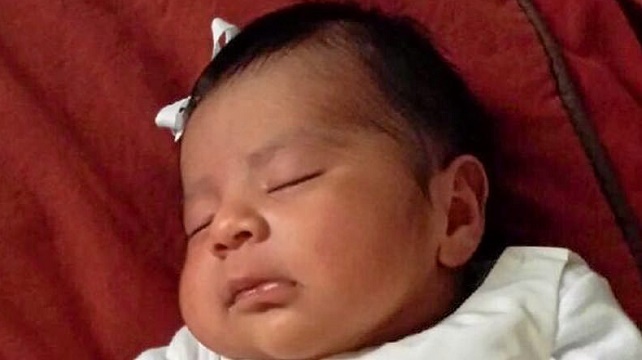 Co-defendant Giseleangelique Rene D’Milian pleaded no contest Jan. 5 to one count of first-degree murder for the January 2015 killing of Eliza De La Cruz, along with the attempted murders of the baby’s father and uncle. The 50-year-old Thousand Oaks woman was immediately sentenced to 25 years to life in state prison. Deputy District Attorney Cynthia Barnes told the jury that D’Milian needed to get hold of a newborn child after falsely telling a boyfriend she had been pregnant with twins, so she followed the 3-week-old girl and her mother, Jacqueline Honorato, home from a bus stop. McCall — a close friend and associate of D’Milian — snatched the baby from her mother’s arms and shot Honorato and the baby’s father and uncle on Jan. 3, 2015, with a gun using silencers made from potatoes, the prosecutor said.